I won’t be getting these. (Well, maybe the Montblanc Shakespeare.) Of the four, this is least likely to be comfortable to write with, but this Cartier Tiger is certainly unique! Maybe because we are living in an age that is increasingly digital, we take enjoyment in the times when we carefully put our thoughts on real paper. Such special moments require a special pen, and some of your favorite watch brands have just that! Unscrew the cap of this fountain pen made by Richard Mille, and it will reveal no nib! By pushing a button, the pen’s mechanical mechanism which you can see in the barrel, will engage and slowly push out the nib. This ingenuity is fitting for a pen that is crafted from the same NTPT carbon as some of Richard Mille’s watches. That is not where it ends, because screw the cap back on the pen, and the nib will automatically retract in the barrel again. Even at first glance, you know immediately that this fountain pen can only be a Breguet. The beautiful sterling silver body and cap are decorated with the same engine turned guilloche that adorns the brand’s watch dials. This is highlighted by resin accents in the brand’s signature blue. As a classic brand, Breguet fitted its fountain pen with an ebonite feeder, piston filler, and 18K gold nib, all to ensure an exquisite writing experience. Cartier has been making pens since the early beginnings of the brand. Throughout history, many of these pens ended up in noble households and have a tradition of being very precious. Cartier continues that tradition with the Tiger Decor pen. This fountain pen is dedicated to Cartier’s primary source of inspiration: big cats! Crafted from 18K yellow gold, this fountain pen rests on a stand of rock crystal and is set with 110 white and 293 yellow diamonds. Although Montblanc has made quite a name for itself with exquisite watches, it started off as the maker of some of the most prestigious fountain pens. Since 1992 they dedicate each year a limited edition to the literary great, and this year to perhaps the most famous of them all: William Shakespeare. 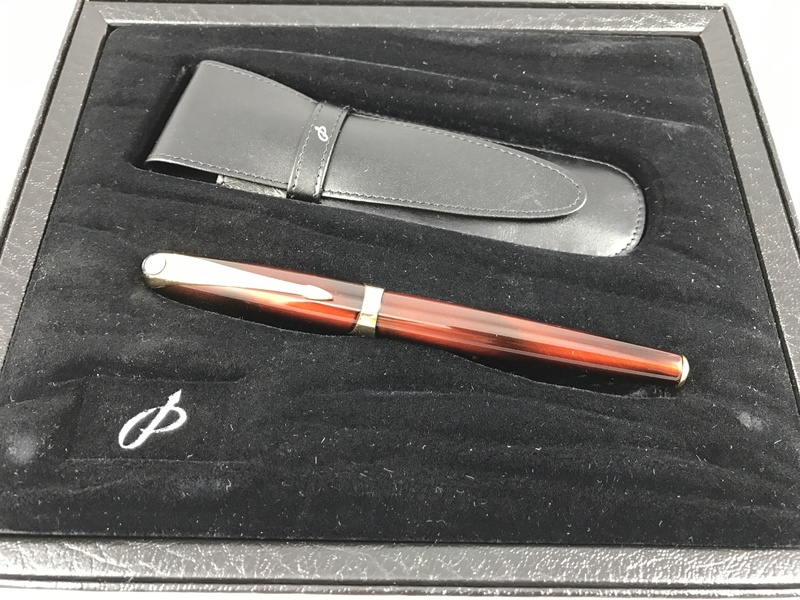 The striking barrel, engraved with a herringbone motive, houses a piston filler, and the cap features the author’s autograph. 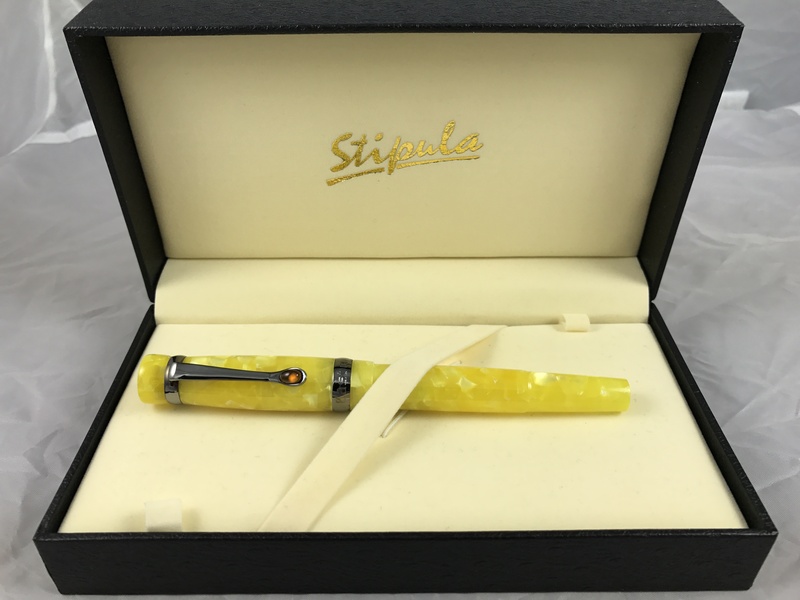 An appropriate fountain pen to sign some documents of your own.